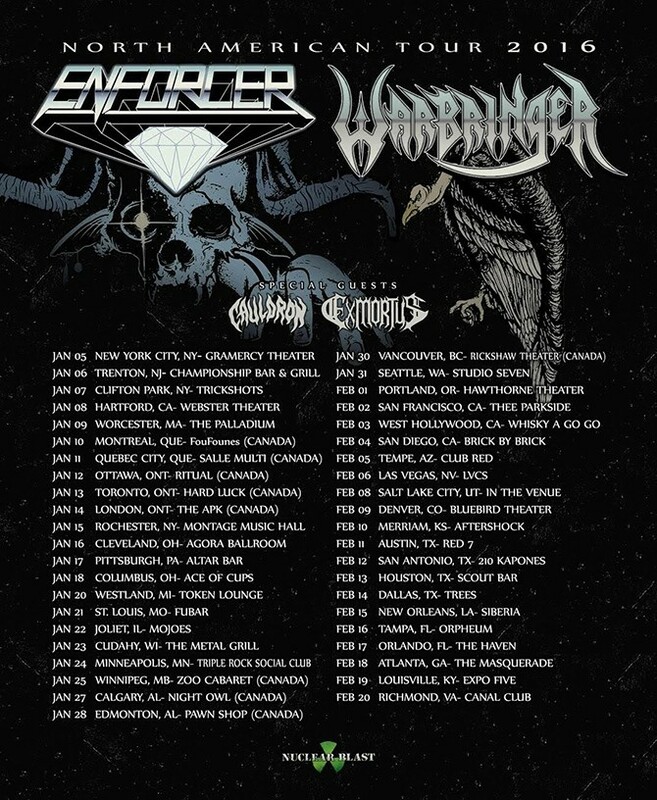 Another North American headlining tour has been a long time coming for Enforcer, as the last time they made their way through the continent was back in the fall of 2009 in support of their debut full length ‘Into the Night’. Since that time the Swedish heavy metal band has released three more albums and toured Europe and the UK quite a bit, leaving fans over on this side of the world clamoring for their return. 2016 proved to be the right time, as alongside Warbringer, Cauldron, and Exmortus the group embarked on a 43 date tour. While it passed over my immediate local market (Baltimore/DC), I couldn’t miss this chance to see Enforcer as I’ve been a fan since 2010’s ‘Diamonds’, so a close to two and a half hour drive was in order to catch the very last date in Richmond, Virginia. 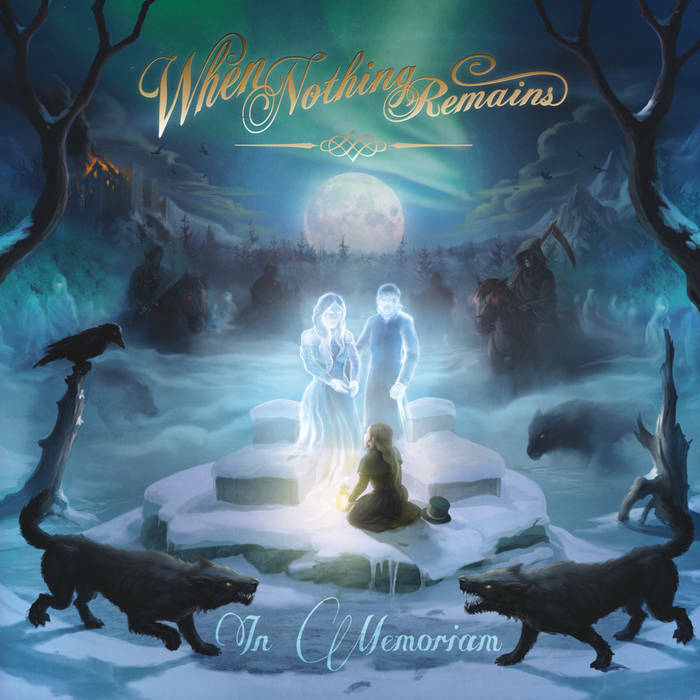 On February 22nd Swedish gothic death/doom band When Nothing Remains will be releasing their third full length record ‘In Memoriam’ via Solitude Productions. The core duo of Peter Laustsen and Jan Sallander has been collaborating for over a decade now, and this new effort showcases some of their most heavy hitting and atmospheric moments to date. Today we’re premiering the songs A Lake of Frozen Tears and While She Sleeps which are perfect examples of the band at their best. The former is reminiscent of some of the sweeping majestic leads common in Swedish melodic death metal, only spun into a slower doom framework, while the latter lets the keyboards and guitars intertwine into a hauntingly beautiful melody. We also had the chance to send some questions over to Peter Laustsen to learn more about the new release and creative process behind the band’s music. If you’re a fan of anything death/doom related or gothic metal this is not to be missed! Dendritic Arbor has released quite a bit of material since forming in 2012, including the ‘Romantic Love’ full length and ‘Sentient Village / Obsolescent Garden’ EP. 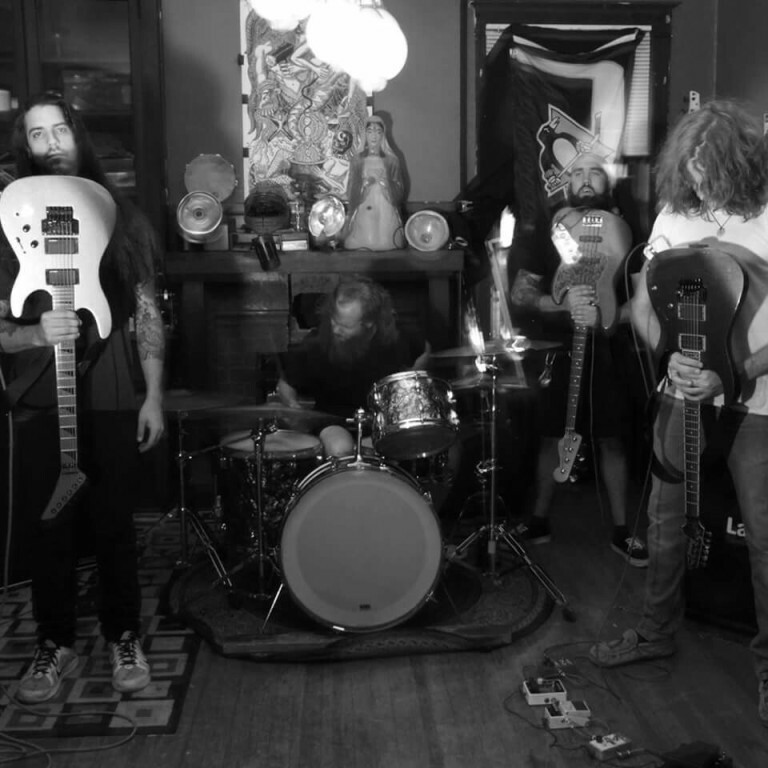 The band’s sound is one that can’t be fully lumped into one metal sub-genre, with elements of black metal, grind, and noise all prominently on display. It’s a mixture that can be a bit hard to get a feel for initially, but the longer you spend with Dendritic Arbor the more everything starts to click. I had the chance to send some questions over to the band to find out more about the recording/writing process behind their most recent EP and other aspects of their music. Closing the door on another year of killer metal.